The extra care scheme currently under construction opposite the Lidl store includes 63 one and two-bedroom apartments for local people aged 60 and over, subject to eligibility criteria. 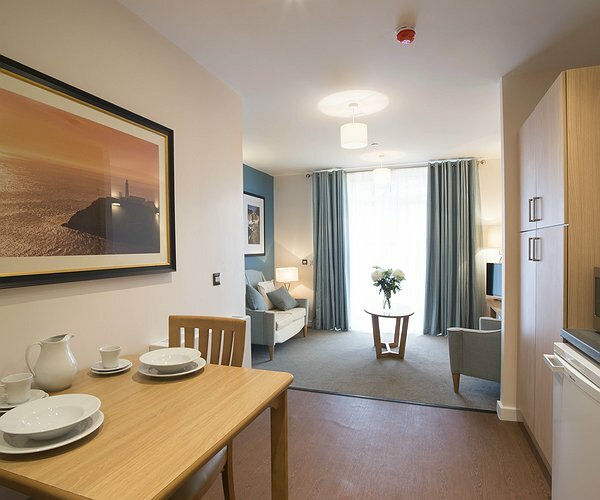 The scheme also features a residents’ restaurant, communal areas and activity rooms as well as landscaped grounds, carparking and a mobility scooter store. The drop-in sessions will be held at the library on Fridays in June from 9.30am to 4 pm when as well as finding out more about the scheme, visitors can also arrange a visit to the show apartment. Hafan Cefni is a partnership development between the Isle of Anglesey County Council, the Welsh Government and Tŷ Glas Housing Society, part of the Pennaf Housing Group. When completed the scheme will be managed by Clwyd Alyn Housing Association, which is also part of the Pennaf Group, and individual domiciliary care will be provided by the Local Authority. Anyone who can’t make the drop-in sessions but would like to find out more can call 0900 283 5757 or email enquiries@tyglas.co.uk. Alternatively information can also be found on the Hafan Cefni website: www.hafancefni.co.uk where there’s also a 360 virtual tour of the show apartment available. "Energy advice for Cae Glo residents"